Considering your next car? Our new Hyundai i30 offer could make up your mind. Find out more from our Sturgess Hyundai Leicester team. 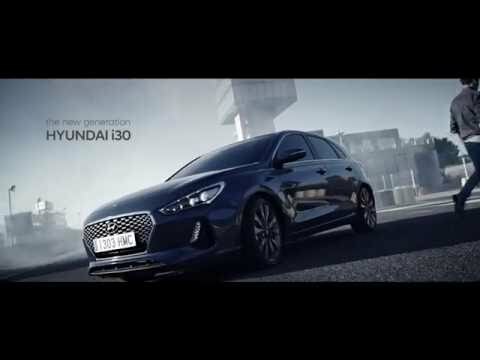 The i30 is bold, dynamic and ready to go. It's balanced and agile, thanks to careful placement of the efficient engine and the thoughtful cabin arrangement. Hyundai's typical attention to detail and precise engineering mean that every time you get behind the wheel of the 130, you'll discover something new. Each journey is as safe as it is exciting, whether you're travelling alone or with passengers and luggage. We update our deals often, and this new Hyundai offer might not be around for long - contact us today. Vehicle Information: Fuel consumption MPG (l/100km) for Hyundai range: Urban 18.0 (15.7) - 80.7 (3.5), Extra Urban 32.8 (8.6) - 94.2 (3.0), Combined 25.2 (11.2) - 88.3 (3.2), CO2 Emissions 261 – 84g/km. Fuel consumption: figures shown are based on official EU test figures. These are to be used as a guide for comparative purposes and may not reflect all driving results. Hyundai Personal Contract Purchase Terms & Conditions: The finance advertised is provided by Hyundai Car Financial Services Ltd, RH1 1SR and is only available to private retail customers over 18 years of age and resident in the UK (excluding Channel Islands and Isle of Man). Finance offers are not available for customers under the Hyundai Affinity Programme. At the end of the Personal Contract Purchase there are three options: (i) Renew: Part exchange the vehicle, where equity is available (ii) Retain: Pay the Optional Final Payment to own the vehicle or (iii) Return the vehicle. Further charges may be made subject to the condition of the vehicle. Finance is subject to status and indemnities may be required. Offer is subject to availability and may be withdrawn or varied at any time. Other finance offers may be available. All figures correct at time of going to press. Warranty and offers only available on new cars purchased in the UK and sourced through Hyundai Motor UK Ltd or its authorised dealers. We may receive commission or other benefits for introducing you Hyundai Financial Services. You will not own the vehicle until all payments have been made. Finance subject to status. Terms and conditions apply. Over 18's only. Guarantors may be required. All vehicle images are for illustration purposes only and may include options or body paint colours which incur an additional cost. Sturgess Hyundai is acting as a credit broker and not a lender. Sturgess Hyundai is a trading style of Walter E Sturgess & Sons Ltd.
E & OE: Whilst every care has been taken to get the best data available, it is not possible to warrant that all the information provided is 100% accurate. Most of the figures are based on information supplied by the vehicle manufacturer, and we shall not be liable for any loss or damage arising out of or in connection with the use of this information or any other information supplied on the site.  Fuel consumption figures are based on combined figures published by the manufacturer. Cost calculations may also be subject to occasional human error or incomplete computer processing. Please contact us if you spot something odd, or would like more explanation.